The Evergreen Cemetery is located between Church Street and Rumson Road in Little Silver, New Jersey. It is adjacent to the Embury United Methodist Church which was established in 1820. The earliest death of record of someone buried in the Evergreen Cemetery is 1816. The earliest birth of record of someone buried in the Evergreen Cemetery is 1767. A listing of those whose remains have been buried in the Evergreen Cemetery can be found here. Cemetery Listing (last updated 8/11/2016) – click here. 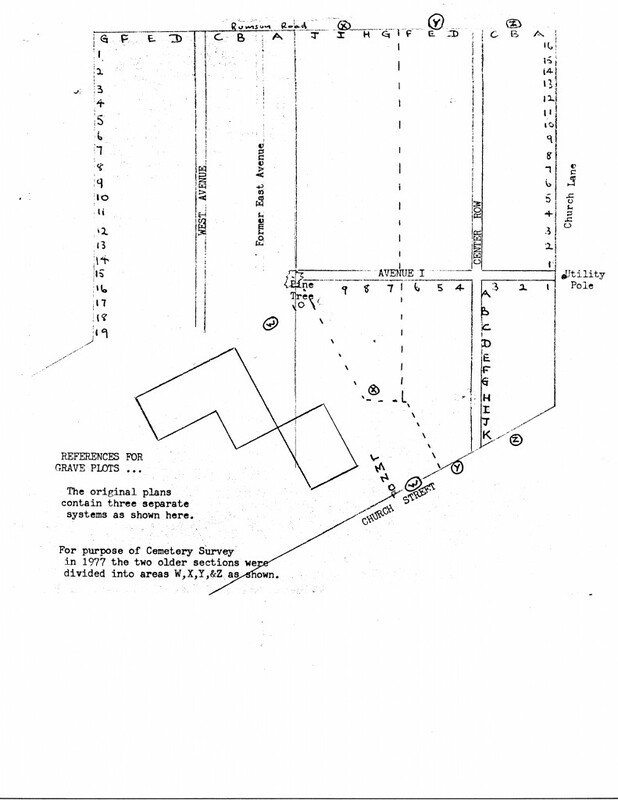 Refer to the map of cemetery below.